I am always greeted with beautiful blue skies and bright sunshine whenever I venture out West. It is a mirror of the people and the attitude; radiant and positive. That is, except for the weekend of the one of the largest boat shows in Australia. It absolutely poured down, blew a gale and was freezing cold. Hardly the sort of weather required to entice the general public to part with their hard earned money and get out on the ocean. But that WA spirit is hard to dampen and there were queues a mile long at opening time. It is little wonder that it is one of the best places in the world to live and people are flocking there. 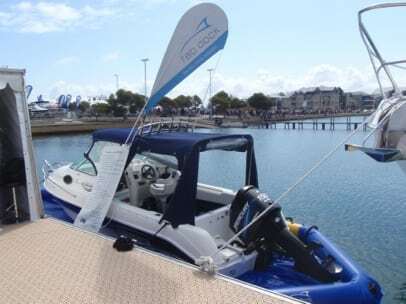 The show was a resounding success and enabled us to showcase our product to thousands more boaties who were thankful to find out a new, economical and environmentally sound way to keep their boats clean. A big thank you to Chris Box from Martin Box Marine, our number one WA distributor, for making it all possible.